The wine, as well as most of the fermented food, is beneficial for the digestive system. 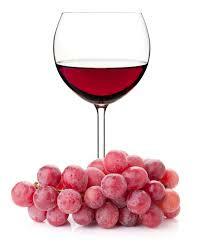 Wine, especially red, contains antioxidants (resveratrol) that contribute to the "fight against free radicals." These, indeed, are responsible for the oxidation process in our body, which leads to cell damage and thus to diseases associated with aging organism. The red wine promotes cardiovascular health and reduces the risk of heart disease, stroke and type 2 diabetes Other benefits include lowering cholesterol and control blood sugar. The wine encourages you to slow down. Nobody swallows the wine. Whether you are enjoying a glass of their own, at the end of the day, or with a group of friends, a glass of wine encourages you to relax, slow down and enjoy the moment. When paired with the food, the wine enhances and improves the sense of taste. Therefore has a positive psychological effect. The wine is closely tied to the land, where the vine is grown. Learn about wine means to appreciate its origins, places, people and processes. Being surrounded by vineyards, sun and good friends promotes mental well-being.